NOTICE: Activation key must be used on a valid Steam account, requires internet connection. ABOUT THE GAME	It is not the destination that matters. It is the journey. 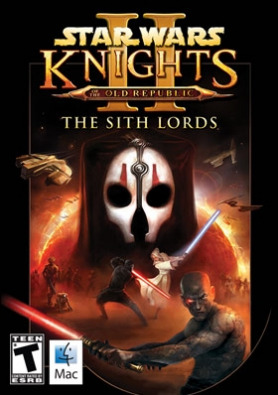 Five years after the events from the award winning Star Wars® Knights of the Old Republic™, the Sith Lords have hunted the Jedi to the edge of extinction and are on the verge of crushing the Old Republic. With the Jedi Order in… ruin, the Republic’s only hope is a lone Jedi struggling to reconnect with the Force. As this Jedi, you will be faced with the galaxy’s most dire decision: Follow the light side or succumb to the dark…KEY FEATURES Follow up to the acclaimed and original Star Wars® Knights of the Old Republic™. Choose from three different classes of Jedi, each with access to specific Jedi abilities. Up to 10 characters in your party, each with their own story and agenda. Choose the light or the dark side of the Force as you progress through the story. The choices you make will affect your character, those in your party and those who may join you in your quest. New Features with this release: Widescreen/Native resolution support. Retina and up to 5K resolution support. Controller support. Achievements have been added! SYSTEM REQUIREMENTS Mac Minimum Requirements:OS: 10.9.5 (Mavericks), 10.10 (Yosemite)Graphics: 256 MB Radeon HD 3870, Geforce 330M, HD 3000Memory: 4 GB RAMProcessor: Intel Core i3 (2 cores) 2.2GHz Hard Drive: 10 GB available space Gamepad support: Star Wars®: Knights of the Old Republic™ II supports the Playstation 4 Dualshock 4, the Playstation 3 Dualshock 3 Wireless Controllers and the Xbox 360 for Windows wired controller and the Xbox One controller (wired) Linux	Minimum Requirements: OS: SteamOS, Ubuntu 14.04Graphics: 896 MB Radeon HD 5450, Geforce 440, HD 4400 Memory: 4 GB RAMProcessor: Intel Core i3, AMD A10 2.4GHz Hard Drive: 10 GB available space Gamepad support: Microsoft Xbox 360 Controller for Windows (Wired), Microsoft Xbox 360 Games for Windows Wireless Controller with Adapter, & Logitech Wireless Gamepad F710	© 2015 LucasArts, the LucasArts logo, STAR WARS and related properties are trademarks in the United States and/or in other countries of Lucasfilm Ltd. and/or its affiliates. © 2004-2015 Lucasfilm Entertainment Company Ltd. or Lucasfilm Ltd. All rights reserved. BioWare Odyssey Engine © 2001-2015 EA International (Studio and Publishing) Ltd. All rights reserved. Aspyr is a registered trademark of Aspyr Media, Inc., and the Aspyr star logo is a trademark of Aspyr Media. Mac and the Mac logo are trademarks of Apple Computer, Inc., registered in the U.S. and other countries. All other trademarks and trade names are the properties of their respective owners.